Gareth Bale is a soccer player who is also known for his sharp hairstyles. Bale plays for the Real Madrid and is a dark haired man. The haircut he is probably most known for is the fohawk which is modified with a more subtle shape and form. Bale apparently likes to sport lifted styles and cuts such as fohawks and quiffs which matches the shape of his face for a really masculine yet stylish look. 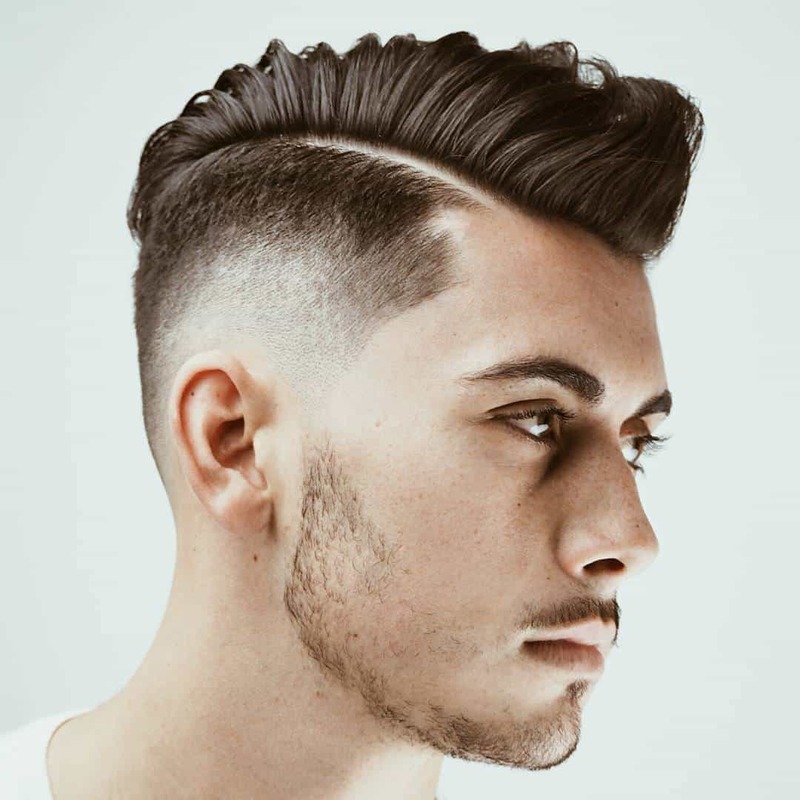 These styles are not only fresh and sharp, they are easy to style and perfect for busy guys who prefer a wash and wear a hairstyle that can be spruced up with a bit of gel. A hairstyle with medium-length hair on the sides is great to make his ears look less conspicuous. Since his ears are pinned back, he cut his hair on the sides very short. If you know how to do a basic spike you are halfway there. His hairstyle is a basic fauxhawk that is just styled for sleekness and added hold. To get this style, you need hair about two cms long on the side. Use a wax and create a side part to separate the middle portion of the hair from the sides. Work some product on the top portion of the hair, lifting them up to create the spike by using your two hands. Alternatively, you can simply comb over the hair to lay it out in one direction on the crown of the head to get the formal look. The natural thickness of the hair beneath will give the hair a natural lift. Smoothen the sides with more product for some shine and a little bit of hold. Use a hair blower as you style with your fingers to speed up the process and to give the hair more hold and bump if you want more lift. You can do this style with an undercut as well. Bale sported the undercut side style many times while playing on the field and the style held up pretty well. He is the best player for Real Madrid.I love her hairstyle and game. His more recent tailored cut and shaved-in parting is definitely on trend at the moment.